I had meant to have a pre-show post, but time got away from me. In my defense, I went running. And to Valley Wine and Liquor for a gin tasting. And to dinner at Sorrento’s. 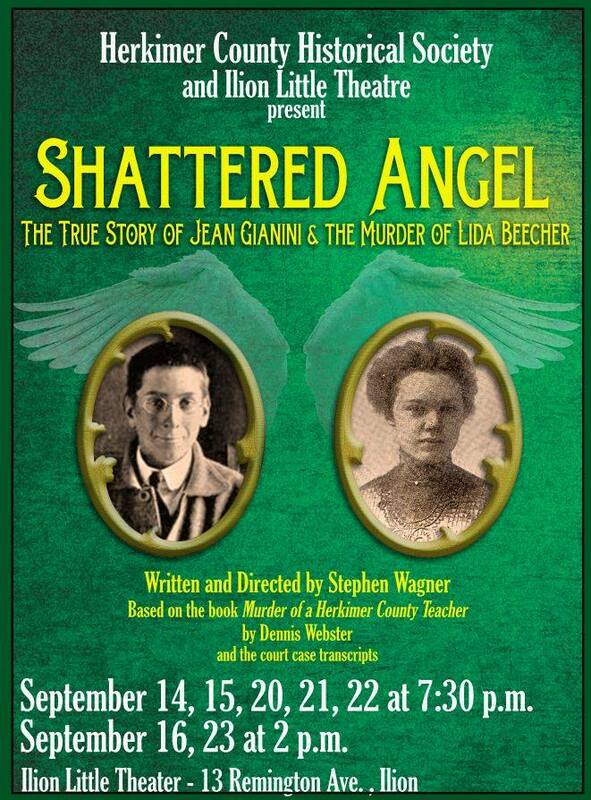 Then to the show, which was Shattered Angel presented by Herkimer County Historical Society at Ilion Little Theatre. As you see, still a couple of opportunities to see it. The show was excellent. It was interestingly staged and emotionally involving. My steady diet of true-crime documentaries on television gave me a good perspective on the proceedings, as did my previous obsession with shows like LA Law and Boston Legal. I have a pretty good idea of how things may have transpired in a modern courtroom. But never mind my silly opinions and perspectives. Instead, here are a couple of pictures of the show (taken during rehearsal, of course. One does not like to take flash photos during a performance). I think this one is suitable for framing. This shot was purely staged for the picture; the actual pose was never seen in the show. But that is appropriate, since the show is not precisely what went down in the courtroom. I believe I mentioned before how characters are combined and testimony condensed to give us the feel of the whole without simply presenting the transcript verbatim (have you ever been to a real trial? It sometimes takes a LONG time to get to the point). One of the most moving scenes of the play. I really enjoyed the performances. I’m too tired to give a real review, mentioning names and detailing specific parts deserving praise. But I guess that is appropriate for Lame Post Friday. Let’s just give a shout-out and drive on. 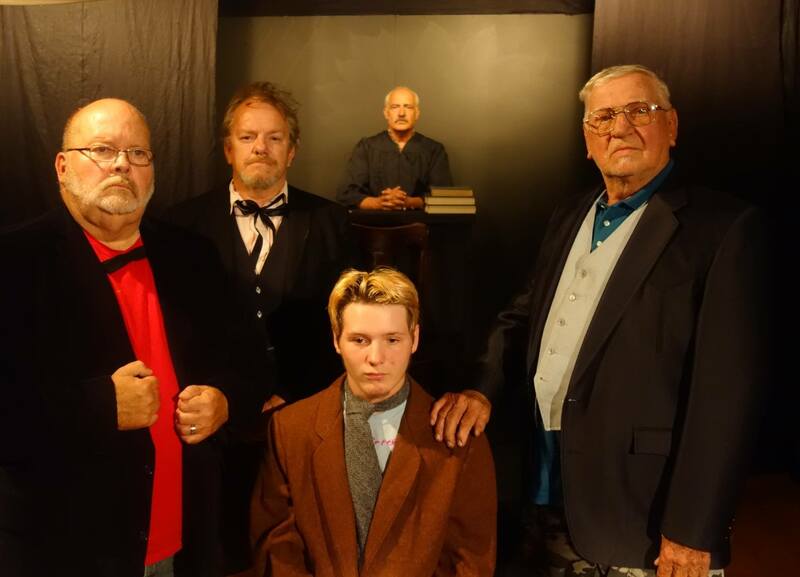 The play continues Saturday, Sept. 22 at 7:30 p.m. and Sunday, Sept. 23 at 1:30 p.m. I can’t guarantee they haven’t sold out, but if you’re local and want to take a chance, go to 13 Remington Ave., Ilion, NY. It’s a great show! 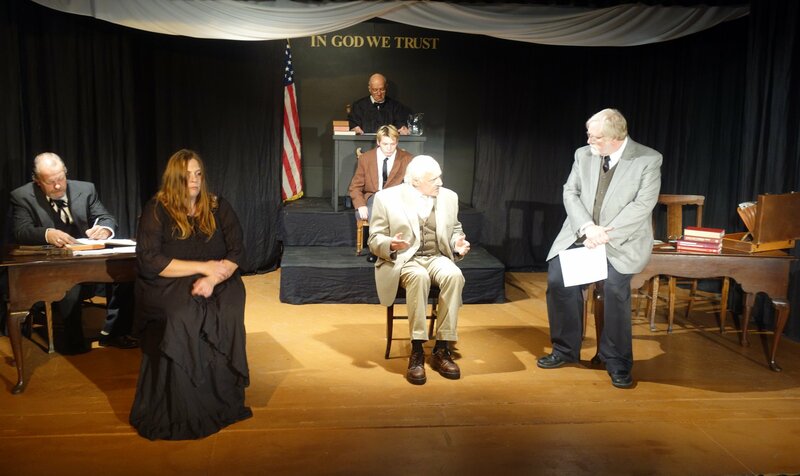 Posted in humor, Lame Post Friday, personal and tagged community theatre, herkimer county historical society, Ilion Little Theatre, Shattered Angel, theatre. Bookmark the permalink.